When starting a new hobby, there are always going to be a million questions to start. 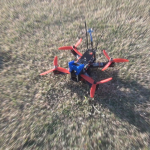 FPV Racing and multicopters are certainly no different. We’re hoping to cover some of the most essential questions you might have when considering getting into the hobby of FPV Racing. These sets of questions will get you started and will help you to learn what it takes to get started with FPV Racing. 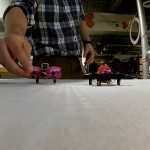 Be sure to also check out our list of useful terms to know as well as our Drone Racing Guide page which goes over everything you’ll need to know about Drone Flying from A to Z.
Drone racing is a sport where remote-controlled drones are piloted around short courses at high speeds using first-person-view (FPV) video systems. 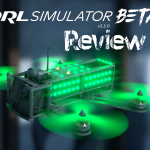 Check out Drone Racing League’s first race video to get an idea what a high end drone race looks like. However, racing isn’t limmited to just stadiums! You can turn your local park, school, or even a house into a race track. All it takes is some creativity and the right type of aircraft! How fast are racing drones? Both flying distance and flight top speed are going to depend a lot on the various components you are using. Your quad’s speed is going to be factored by a combination between motor, propeller, weight, as well as battery. For a rough estimate, if you’re flying a 250mm frame racing quad using a three cell battery, you’ll probably be flying around 40mph. With a four cell battery you can reach speeds of 60mph and faster. How high can drones flight? Following FAA flying guidelines, pilots should not fly higher than an altitude of 400ft. That being said – most drones can fly much higher than this. It will vary greatly depending on your setup, flying conditions, and line of sight, but you can expect the range to be anywhere between 1000ft to up to 10 miles. 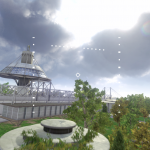 As you start flying into the stratosphere, the propellers on drones become less effective. Most quadcopter drones will have a tough time flying above 20,000ft above sea level. What type of person gets into FPV Racing? Imagine flying through the air. You’ve finally been given the power of flight! It’s an incredibly strange sensation viewing your quadcopter through a first-person perspective. You may feel like you’re constantly moving forward or feel like you need to tilt your head to see more clearly. It’ll be an experience unlike any other. I would say someone who has patience, motivation, and a lack of fear around electricity gets into this hobby! Learning how to actually fly a quadcopter and do well, especially when controlling in acro mode, is going to take a lot of patience. It will be frustrating at times and you just need to keep on practicing. Motivation is what will drive you to keep flying repair after repair. It’s certainly not impossible, but you have to know that not everyone flies like Charpu on their first day out. However, flying is probably the smallest part of the hobby. You will spend hour tinkering with your quad to get every setting to your liking. Rebuilding and repairing are constants in this hobby. Learning to fly goes hand in hand with crashing, and crashing means constant repairs. Troubleshooting issues will become second nature, but it will take practice. The craft isn’t flying? Here’s a list of at least twenty things to check. Your motor stopped working? Why? Troubleshooting and having the patience to fix problems is a must. It’s incredibly fun to capture your flight’s footage with an action cam and share it with your friends. When you finally pull off that insane maneuver and share it on Facebook or Reddit, it’s a fantastic feeling. Do I need a lot of RC or flying experience to fly an FPV Racer? Start with a regular ol’ Toy Drone. I would not recommend anyone to immediately jump into an FPV Racer without any previous experience flying some type of RC flying craft. Of course you don’t have to have years of experience under your belt, but it’s a really good idea to buy a cheap toy quadcopter to get the feel for what horizon flight mode feels like. Read our article for some of the beginner quadcopters we recommend. After flying around on a toy quad, you’ll really get a good feel for what flying a quadcopter is like. 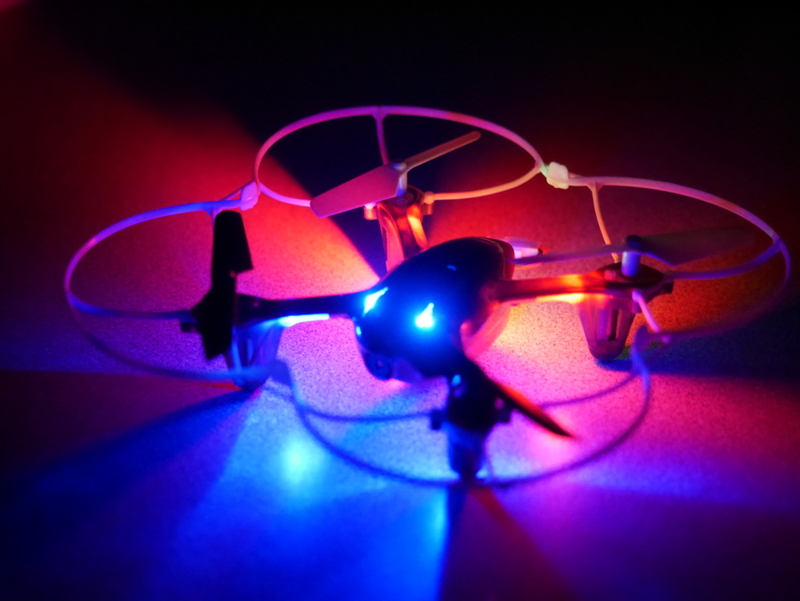 From there you can start doing research into options on building your own quad, learning about what makes up a quadcopter, or hopping in to a simulator type program. There are many, many routes you can take. It all boils down to getting some practice in before dropping bigger money on an FPV racing quadcopter. 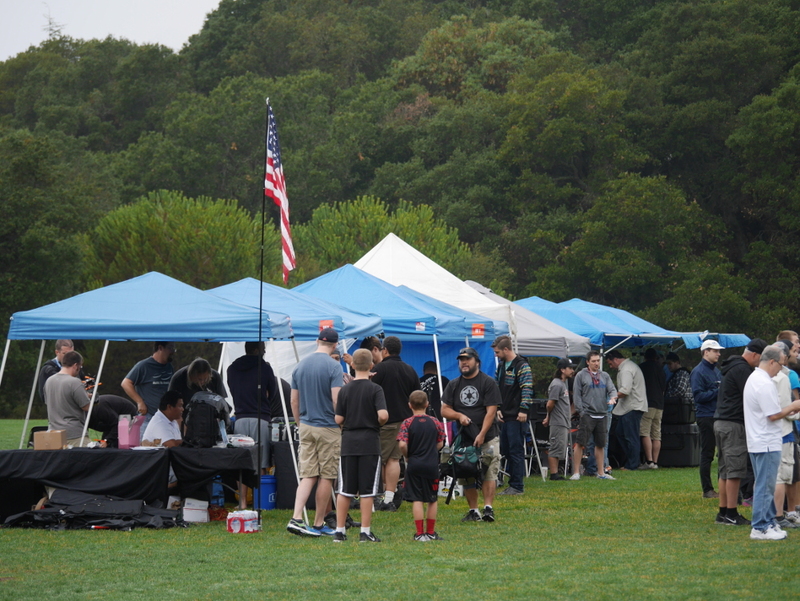 The practice you get will also be a great indicator of whether or not you might enjoy FPV racing in the first place. How much is a racing drone? Racing drones are getting cheaper every day. A few years ago, you would expect to spend around a thousand dollars to get started. Now? Budget guides and options are popping up for fully kitted quads as little as $100-300. For a drone that is similar to the ones that pros fly, you can expect to spend at least $300+ for the drone and necessary components. How much should I spend on FPV Equipment? Starting out, you’ll want to be conservative on spending. For everything included (quadcopter, goggles, transmitter, accessories) you’ll probably spend anywhere from $150 to $400 on the low end. There are of course certain parts or components which you will want to spend that extra money on because they will be worth it in the long run. Two areas in which I would recommend splurging is in purchasing a quality radio transmitter and FPV goggles. The quadcopter itself will really vary and will take the hardest beating of anything you purchase. However when it comes to a radio transmitter that controls your quadcopter and FPV goggles, those two components can really last you a long time. The FRSKY Taranis is the most popular transmitter in the hobby currently. It will work with pretty much any RC device you throw at it and has a huge amount of resources and familiarity from the community. However, at a price of $200, it might not be for everyone. On the other hand, we also reviewed the FlySky FS-i6 which is another popular transmitter that can be had for around $50. Realistically, there are a ton of options for every budget. There is nothing worse than flying FPV with terrible quality video. While you don’t need to spend an arm and a leg, you want to pick something up that lets you see clearly and without straining. On the less expensive side, we thought the FuriBee VR01 headset was a great choice for newbie hobbyists. On the higher end, Fat Shark goggles have been a pilot favorite for many, and is the most common goggle you will see the pros wear. All in all, check out our article on equipment purchase order. This should help structure what items you need to purchase and the order in which to do so. Should I build my first quadcopter or buy one pre-built? Build your first FPV Quadcopter! It depends – we actually have an article that discusses this. 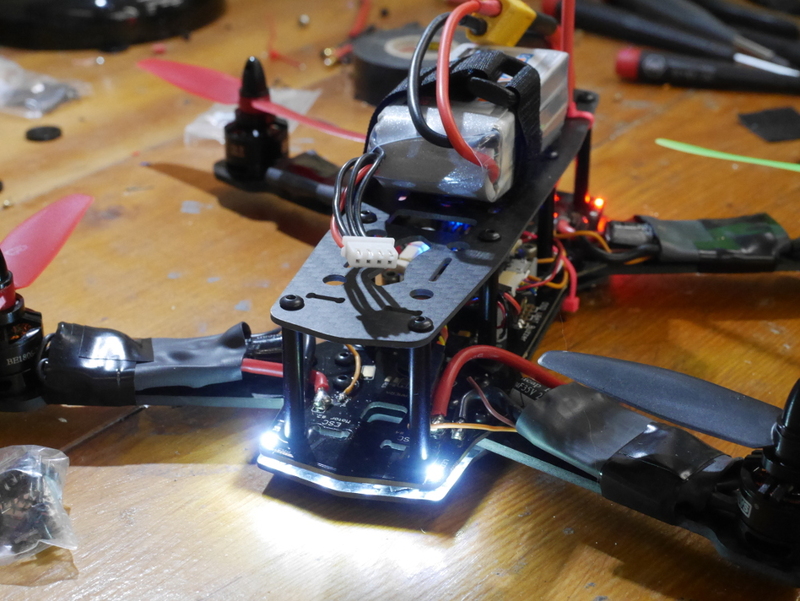 Building your own racing quadcopter is difficult, but it certainly is rewarding. There are many steps involved, and it will probably take more than a single day to put everything together. Parts of the building process are very technical and can be frustrating to someone who hasn’t ever built a quadcopter before, or someone who hasn’t undertaken many electrical tinkering type projects. Why then would I recommend someone to knowingly frustrate themselves? Building and repairing quads is very much a part of the hobby. There will come a time when you crash and your quad will no longer fly. What then? You’ll have to know how to diagnose the problem and how to most effectively solve that problem. You don’t need to know how a car works to drive it, but when you crash you need to find someone who can fix it. If you crash your quadcopter and something breaks, it’s a matter of researching the Internet and finding what the problem could be. Having had built a quadcopter you will feel much more comfortable with doing repairs on it. It’s never a bad time to learn to solder! Of course, if you happen to have a genius friend who is an expert quadcopter mechanic/engineer (like James), then throw caution to the wind and reach new heights! I’ve got all my stuff ready to go, what now? Read our three part series on drone training and get out into the wild and figure out where to fly. This series covers what materials you’ll need, how to select a perfect flying location, and how to practice. Also look into local clubs and flight competitions to really get into the hobby. Meeting other pilots is a great way to ramp up your learning and to take the experience of more veteran pilots. 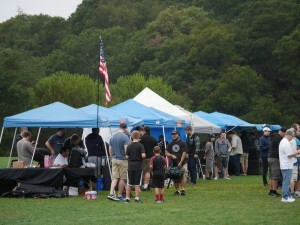 Many of those who are into the hobby are enthusiastic to share and talk about it with new pilots. Don’t be afraid to ask! What do I do while I’m not flying? Participate in user discussions! 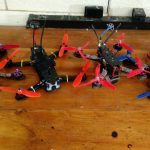 Reddit, Facebook, and various RC/FPV Racing forums are a great way to interact with the community and help the hobby grow. Not only can you learn from others, but you can start sharing your knowledge as well. Our site only grows by our continuing self-education of actually flying and repairing as well as digesting what’s out there in the community. Watch videos! Hop on Youtube, Reddit, Facebook, what have you and start watching a bunch of videos. Whether its race footage, trick compilations, or wacky videos, watching minicopter videos helps expand your mind and shows you what’s possible. It can be very inspiring to see what is capable and trying to replicate what you see. At some point you should also put together a compilation of your sweet flight footage. Share the love! To get you started, you can check out our list of popular multcopter-centric channels here! Read articles! People are constantly sharing information in the form of blog posts, news articles, or community threads. Like anything in life, constantly learning and growing is a key to success.